For those of us committed to the Jewish day school experience, it is reaffirming to know that research confirms its promise. A comparative analysis of Jewish college students by Brandeis University, for example, highlights “the power of day schools to prepare students well academically, to enable them to move forward with a sense of civic responsibility into new and larger social communities, and to provide them with a solid grounding in Judaism, such that they are much more involved in campus Jewish life.” This pattern continues into adulthood, with all that implies for Jewish continuity and strength. 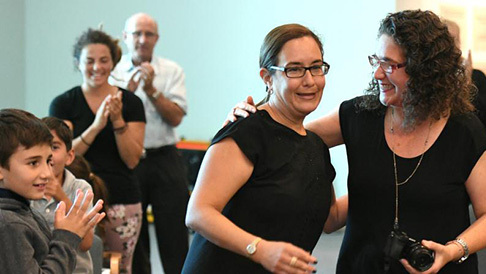 Of course, to achieve its potential, the day school opportunity depends on our ability to attract, retain and motivate high-caliber individuals to pursue Jewish day school education as a profession. This requires providing teachers, administrators and specialists with opportunities and incentives for their work to flourish, along with a means of identifying those role models worthy of emulation. 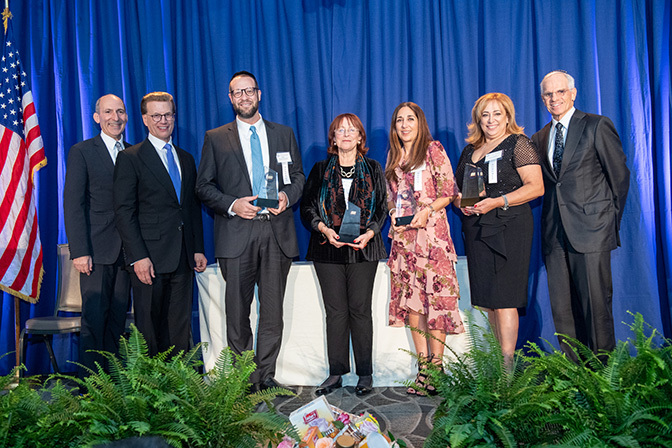 By surprising four exceptional educators with the Jewish Educator Award before their entire school communities, we proclaim very publicly that excellence in education should be rewarded. 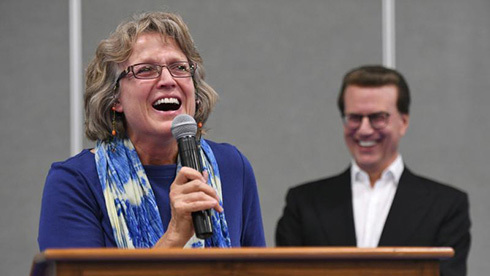 And in recognizing the essential contributions that educators make to society, we further hope to encourage our next generation to consider the adventure and impact of teaching. Those we honor exemplify the Jewish day school mission to prepare our youth for successful lives in the context of our values as a people. 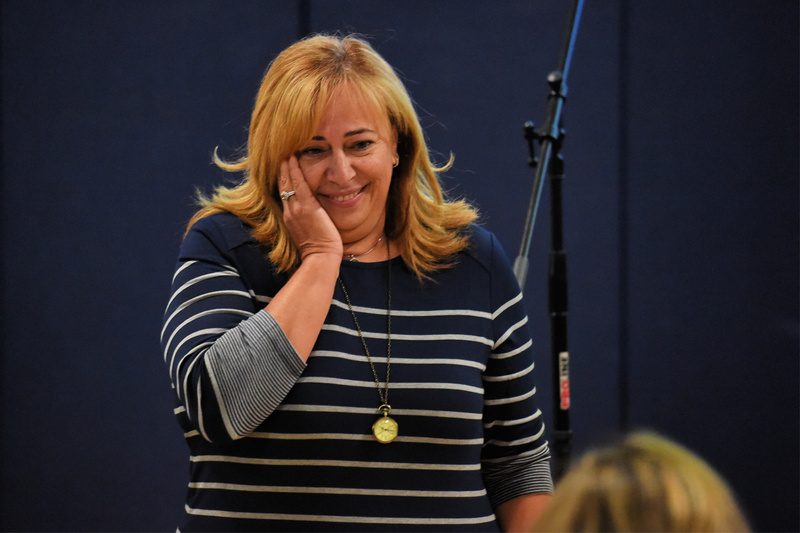 Through their intelligence, scholarship, commitment and compassion, these educators motivate students to achieve their academic potential, improve our communities, and embrace the joys and responsibilities of their Jewish heritage. They are, without a doubt, heroes among us.